YANGON—Melia Hotel Yangon has launched a new buffet with a wide range of the best local selection of seafood and fish for seafood lovers. The buffet will be on offer from April onwards at Melia’s all-day dining restaurant, The Market. 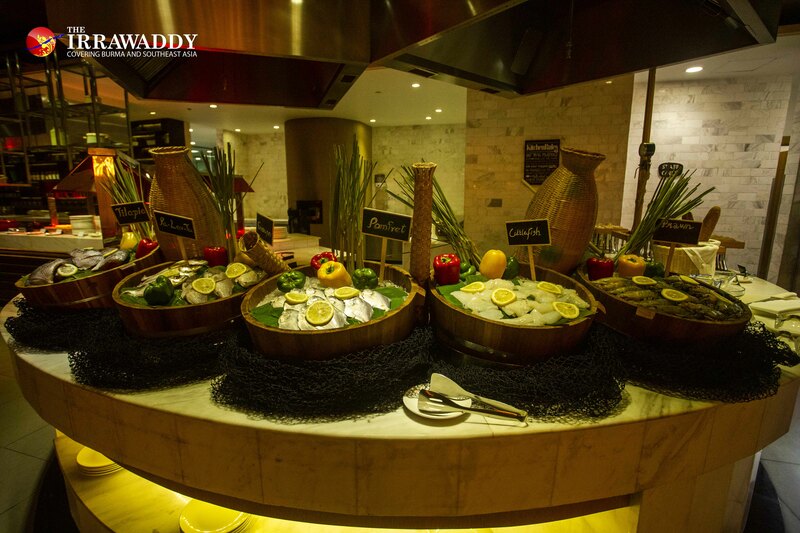 What’s special about of this Fisherman buffet is that it shines a spotlight on local produce. 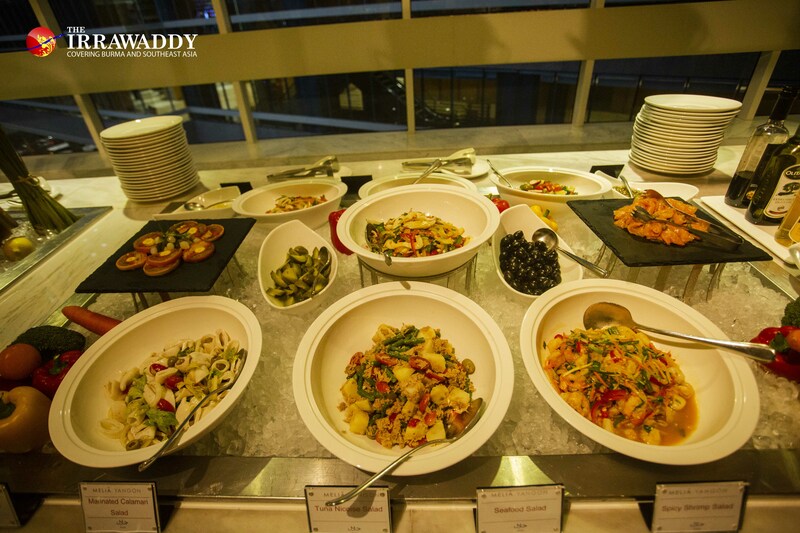 A wide range of fish and seafood dishes are served, including salads, grilled, boiled and steamed options. Though the night is called Fisherman Night, diners can also eat Burmese-style curries, western meals, dim sum, sushi, shawarma, bread, vegetable salads, soups and, of course, desserts. My buffet tour started at the grilled counter which included different types of local fish like tilapia, grouper, palartu, cuttlefish and prawns. 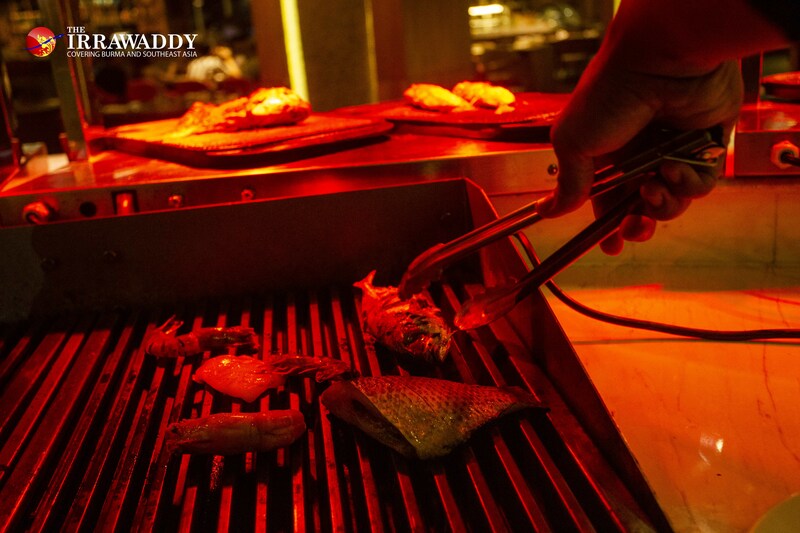 The chef can grill your selection right before your eyes. All the produce seems very fresh and the meat is perfectly soft and flavorful and served with its own sauce. 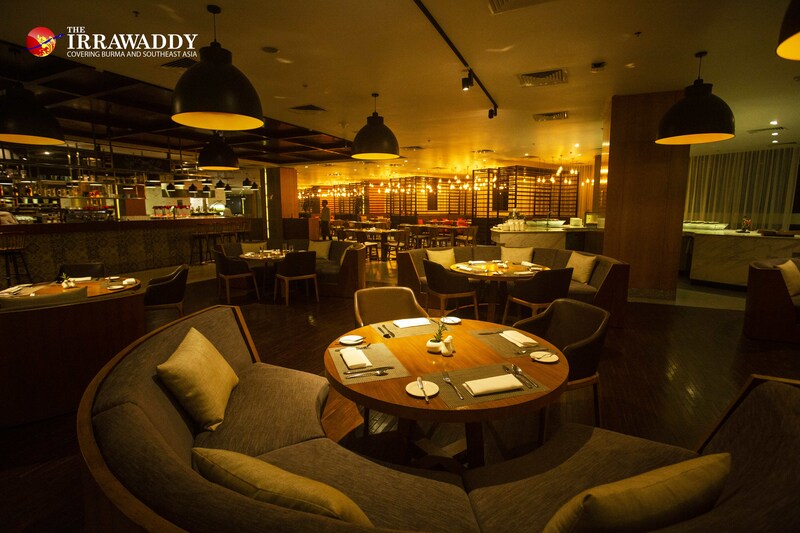 The chef recommended I try the baked threadfin fish which is accompanied by a spicy sauce. 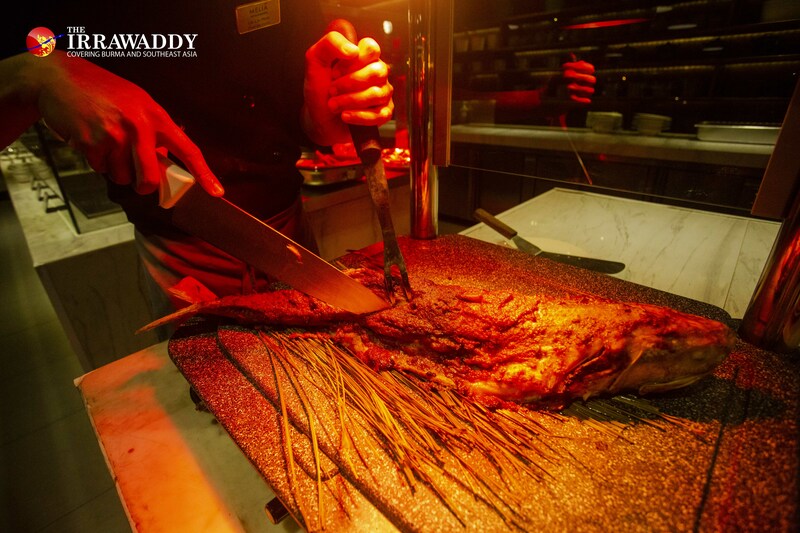 He sliced off a portion of the whole baked threadfin fish and served it with the sauce. It tasted delicious and was a perfect combination. At the buffet, a local favorite is the Mala Xiang Guo which is cooked with seafood. It’s rare to see Mala Xiang Guo at a hotel buffet and this version of the dish was less spicy than usual and with reduced oil too. It tasted great. Salmon sashimi is one of my favorite Japanese foods of all time and the orange salmon sashimi from the Japanese counter was so delicious. The freshness of the salmon and octopus satisfied my sashimi cravings. The crispy pork skin and grilled pork neck are perfect accompaniments to a glass of beer which is unlimited with the buffet price. The pork skin was crispier than the grilled pork neck, but the meat was really soft. Try it with plum sauce—the taste is amazing. For the steamed seafood and seafood salad counters, the hotel uses only local products and you won’t find king crab or lobster here. The smoked salmon salad and squid salad were good to eat but they were lacking something—maybe more salt or a dash of lime. Then it was dessert time. 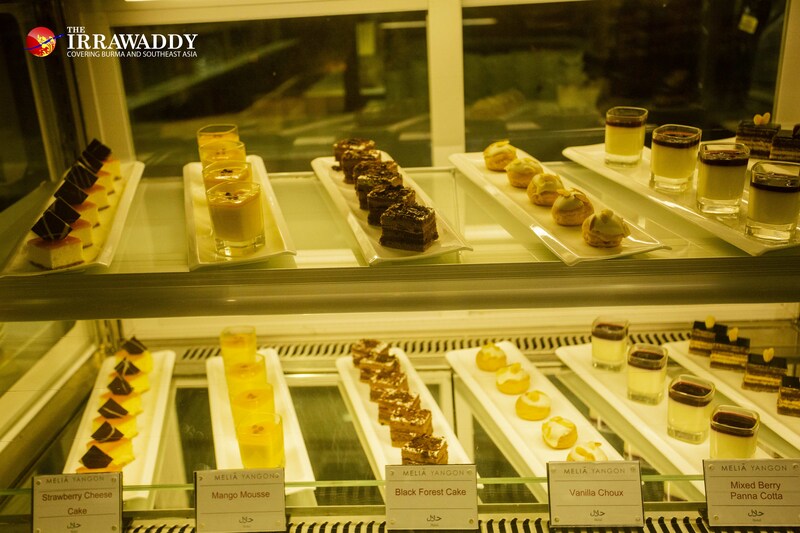 Despite a stomach full of seafood, you can’t say no when you see the wide range of desserts at this buffet. Their croissant pudding is a guest favorite, according to the staff at the dessert counter. And rightly so—the pudding is not too sweet and the taste is awesome. Even if your stomach is full, it’s worth a try. The homemade ice-cream selections are also one of the best dessert choices. Please do try them. 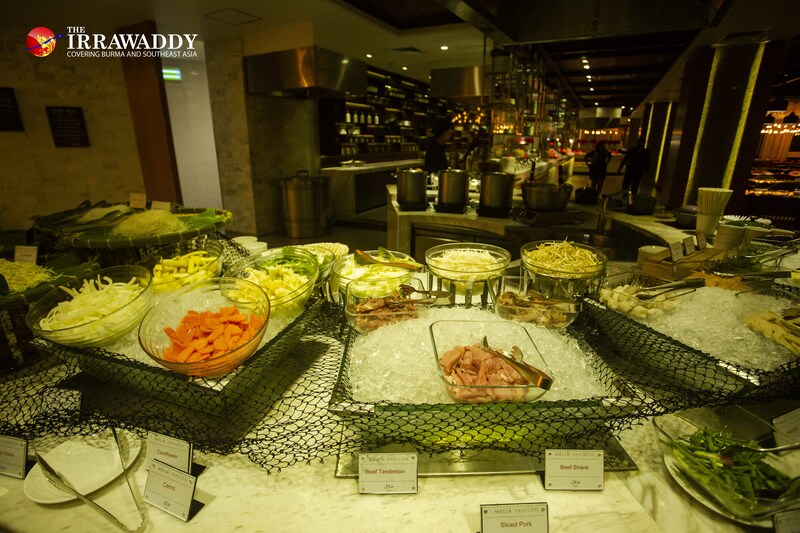 Overall, this new buffet has a wide range of choices for seafood lovers and foodies. It costs U$29 nett per person including a free flow of beer, cold drinks and coffees, so the price is fair for what is on offer. The buffet is available on Wednesday nights from 6 p.m. to 10 p.m. For reservations, you can contact the Melia Hotel Yangon Facebook page.